 Giving thanks to God for his faithful and abundant provision in Cambridge, we desire to support evangelistic efforts of University and College Christian Unions elsewhere in Great Britain. The CU Missions Fund exists to receive funds from CICCU and other Christian Unions in order to support financially other UCCF University and College Christian Unions in their evangelism to students. Priority in the distribution of money shall be given to UCCF Christian Unions that cannot afford to hold evangelistic events or missions without external financial support. In seeking to raise funds for an event, CUs should demonstrate a commitment to sacrificial giving and careful stewardship of the resources available to them. Priority in the distribution of money shall be given to CUs seeking to take these responsibilities seriously. The CICCU Executive Committee retain the distribution rights of the money irrespective of its source (e.g. other CUs). Funding is available for any amount up to £500 per term, per CU. Sums above £500 will be considered in extraordinary circumstances. Speakers must sign the UCCF Doctrinal Basis, and after the event we would require a basic breakdown of how funding was spent. Applying for funding is simple; only one application form need be completed. However, processing applications may take time, so applications should be made at least one month before the money would be needed. To receive an application form, please e-mail cumissionsfund@ciccu.org.uk, giving name of CU, and name and address of person to whom the application form should be sent, or download the form below.